You scream, I scream...we ALL scream for ice-cream! After a long, hard day, there is nothing better than a soothing soak in the tub to help you relax and unwind! 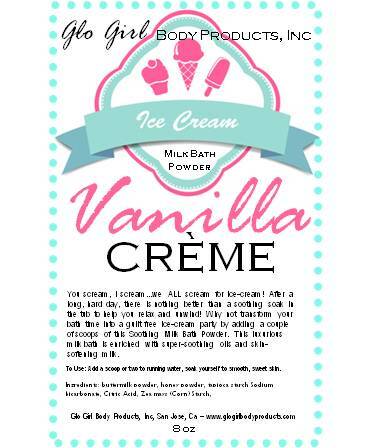 Why not transform your bath time into a sublime, sensual experience by adding a couple of scoops of this Soothing Milk Bath Powder. This luxurious milk bath is enriched with super-soothing chamomile and skin-softening milk.